“The Regrets of Cyrus Dodd” by Bette Lee Crosby chronicles a West Virginia farm family, from their days on the farm, to their life in a small Virginia town, to their later life as retired, empty-nesters. But, the book is far from a dry, fictional biography of ordinary people in an ordinary life, for the travails faced by the family and their reactions to them are like those of almost every reader. It is quite easy to empathize with the characters, especially since their story is so richly told. Like in Crosby’s Wyattsville series of books, the story is generally told in the third person, with several short chapters told in the first person – by Cyrus and other lead characters. This puts the reader into the thoughts of the characters in a way that dialogue and description often cannot. One gets to know the characters in a deeply personal way. The strong attachment of a farmer to his land, the consuming force of revenge and hate, the excruciating pain caused by the loss of a loved one, the quiet contentment of a strong marriage (and the overbearing bleakness of a bad one), and the power of friendship and family to overcome adversity, are each themes of the story. These themes are presented in a way that is almost, but not quite, melodramatic, or even sappy. But, the power of the writing and the attachment to the characters keep the story within fictional reality and allows the themes to be emotionally felt by the reader. 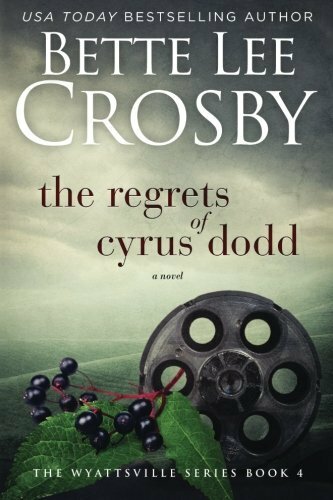 “The Regrets of Cyrus Dodd” by Bette Lee Crosby is, indeed, an engrossing story of ordinary people.